Irishman Martin Cadden, 22, was killed in the crash on The Lake Rd, in Leeston, Canterbury, on Friday night (January 2). Martin came from Loughduff, County Cavan, in Ireland. His uncle is arriving from the US tomorrow to take his nephew home to family home. He was one of many who were killed on New Zapland roads during the summer (New Year) holiday period. Jan 3: Anthony Clifford Sparrow, 50, of Ashburton, was killed when his motorbike left the road on SH73. Jan 2: Garry Andrew Wendt, 68, from Ngaruawahia, was killed in Hamilton after a three vehicles crash. Jan 2: Irishman Martin Cadden, 22, was killed after his car hit a tree in Canterbury.Jan 1: Paul Ruben Kasper Kapica, 24, from Kerikeri, was killed after his vehicle rolled on Papamoa Beach, Bay of Plenty of Deaths. 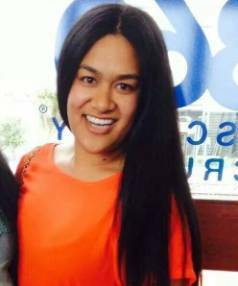 Jan 1: Lavi Taimani, 22, was killed after a car in which she was passenger smashed into a pole on Auckland’s Southern Motorway. The Onehunga woman died at the scene. RIP. Dec 30: Chilyoung Kim and Young-Mo Sang, both 59, from Seoul, South Korea, were killed after their car crashed off a single-lane bridge in Westland. Dec 27: Jamie Shane Webb, 25, was electrocuted after his car crashed into a power pole in Glentui, Canterbury. Dec 26: Kevin Keane of Timaru died after the rental car he was driving collided with another car in the Bay of Plenty. Dec 26: A Chinese student, Pengxiao Tao, 22, known as Jessica, was killed after her car and a campervan collided on the Athol Five Rivers Highway in Southland. Meanwhile, the name of an Australian woman who was killed after sustaining head injuries in a fall on to rocks has been released. Ashleigh Jade Dargusch, 23, of Queensland was walking with four friends in the Kauaeranga Valley in the southern Coromandel Peninsula when she fell at least five metres from the track, landing on her head, police said. The body of a man who was found dead in a Manawatu house has been removed and taken for a post-mortem examination, police said. Police are investigating the unexplained deaths of an elderly Ccotish couple who were found dead yesterday in their Brockville, Dunedin, home. The husband and wife, in their 80s, were from Scotland and had lived in the house for many years. The body of a man killed in a suspected homicide has been taken from a Woodville house for autopsy. Police called to the property, 25 kilometres east of Palmerston North, about 3pm on Sunday. Dec. 25 – Heng Li, 25, a Chinese student, died at Uretiti Beach in Northland. Dec. 25 – Imogen Saleupolu-Mataafi, 1, drowned in a temporary pool in the backyard of her home in Manurewa. Dec. 26 – Simon Camp, 47, died at Karioitahi Beach, 70km southwest of Auckland, while surfing. Dec. 27 – Jarod Lineses, 16, was swept out to sea on Ninety Mile Beach at Hukatere in the Far North. His body was recovered on New Year’s Day. Terangi “Toots” Woonton, 59, and Kairangi Samuela, 53, died when their boat was swamped by a wave while crossing the Manukau Bar. Jan. 1 – Wayne August, 42, drowned at New Brighton beach in Christchurch on New Year’s Day. Jan. 5 – An 11-year-old boy drowned in a river mouth at Waipu Beachin Northland.